OK...So I didn't think I would have a card for today, but that all changed when I realized that there was still time to play along with Kim's great sketch for the Freshly Made Sketches challenge AND I wanted to give you a glimpse of ODBD's new release coming up on Monday! I was also inspired by the Pinterest photo gallery for SCS Inspiration Challenge after I found these paper lace ribbons and loved the color combo! 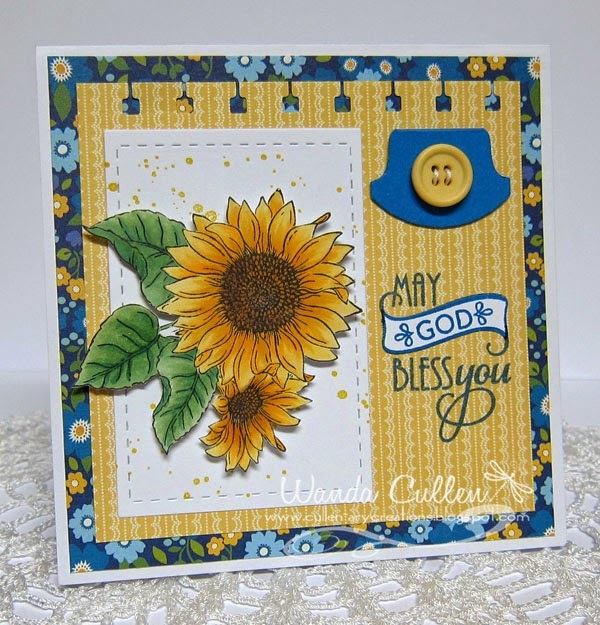 It inspired me to use the yummy new paper pack by ODBD that will be released on Monday. 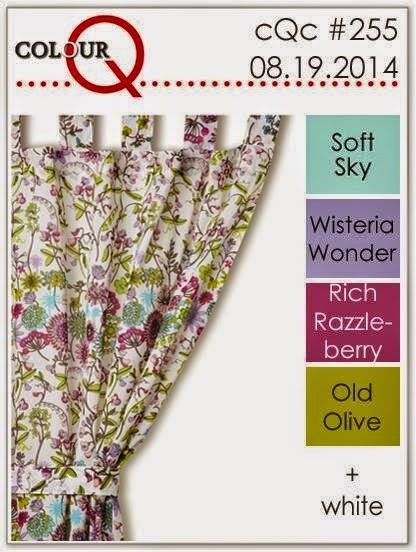 The sentiment is from a new "Quilts" set that you will love! No card today, but wanted to share that Verve is having a new release today as well as a great sale through the 4th! I just placed my order and wanted to enable the rest of you to do the same - lol! It's back to old school with a chalkboard theme over on SCS Ways to Use It challenge! I white embossed this MFT sentiment, sponged some white ink to make it appear smudged with chalk then stamped a notebook page image (also by MFT) on the card base. A die cut apple from Reverse Confetti and a Memory Box "Pepita" die border completed this CAS one layer-ish card. I'm entering this into Simon Says Stamp Wednesday Challenge where "Anything Goes". It's being sponsored by Memory Box so that explains my border choice. Are you ready for the last Color Throwdown Challenge of August already?! Monika has picked this gorgeous sunflower photo for us and I was ever so happy to use the blue/yellow/green colors for an old fave image that I've had for years! 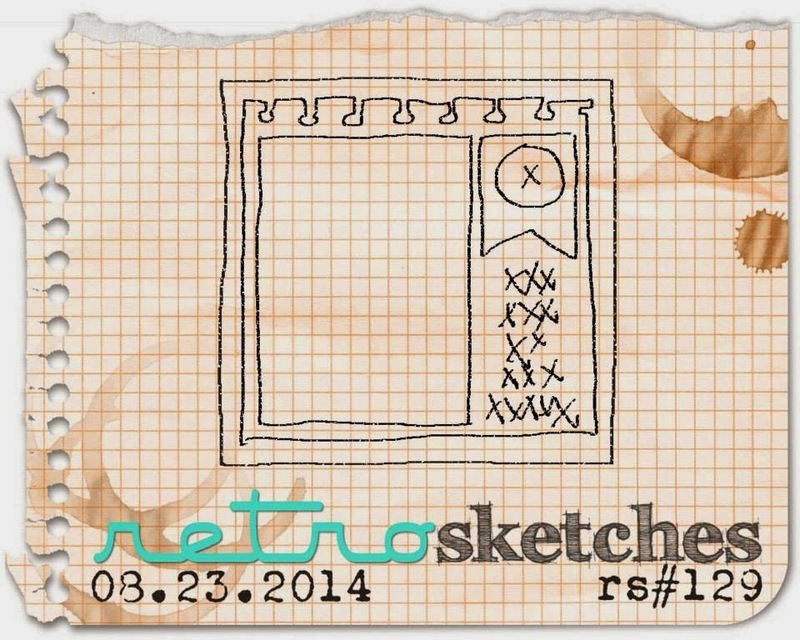 My card base is 5" square and I arranged the layout based on the current Retrosketches Challenge. After coloring with Copics, I fussy cut the flower and popped it with foam dots over the splattered rectangle. 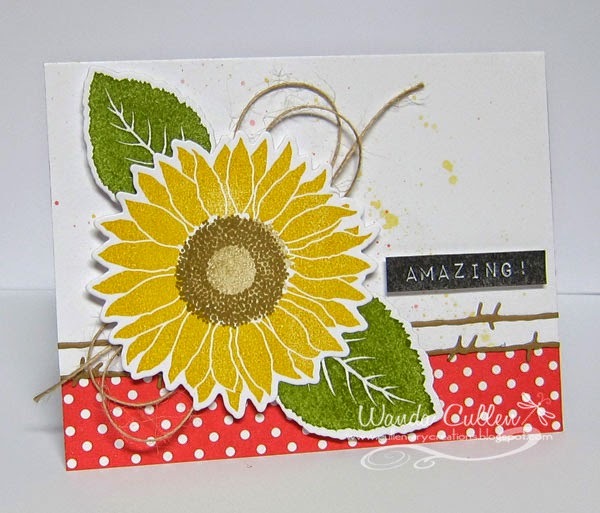 STAMPS: Sunflower II (Rubber Stampede); Wonderfully Made (Verve) - sentiment. PAPER: Family Ties (Pebbles), Pacific Point (SU), X-Press It Blending Card, White (PTI). INK: Pacific Point (SU), Crushed Curry(SU), Memento Tuxedo Black. ACCESSORIES: Label punch by SU, Button, Stitched Rectangle die by Lil Inker Designs, Notebook edge punch by SU, Copics. We are so thrilled that Jodi Collins will not just be our August guest designer, but she is now a regular design team member! Doing the happy dance here!! Once again...welcome, Jodi! Our star stamper of the week is Beverly Daw! We're thrilled to have you joining us! Click on her name to go directly to her blog. Play along with us this week and you just might be in the spotlight next week by being our guest star stamper! You don't have to have exact colors to play along, but you do need to have a close resemblance. 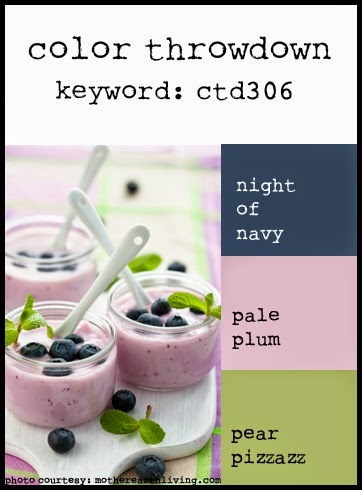 Be sure and link your creation to the linky tool at the bottom of the current challenge post on the Color Throwdown Challenge blog. Becky has some beautiful colors for the SCS Color Challenge (Old Olive, Calypso Coral, Lost Lagoon). 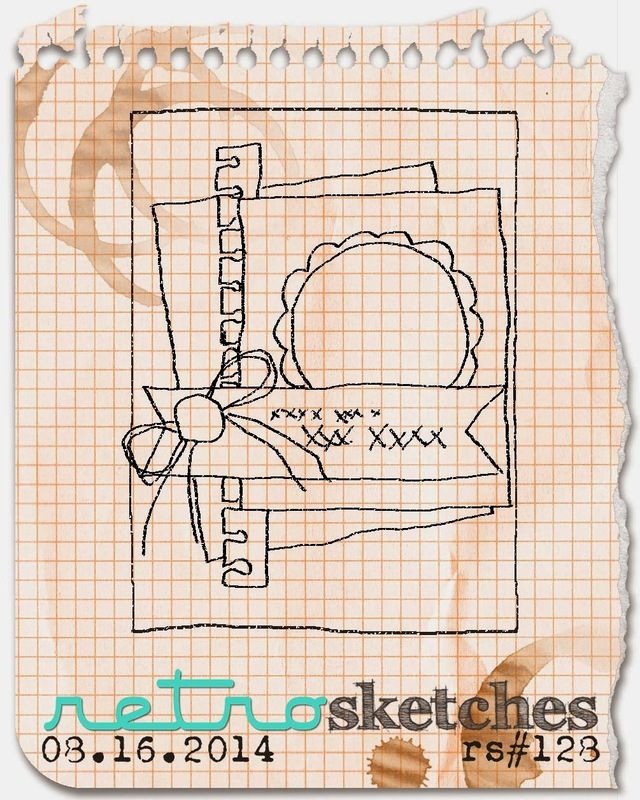 I skipped dessert (which was to recycle something on the card) and went with the layout for the current CAS(E) this Sketch Challenge. 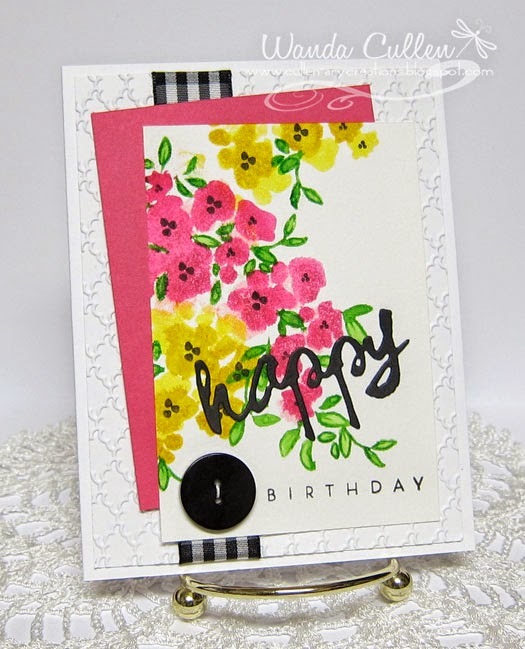 I love playing with the 3-step stamped images in Altenew's Painted Flowers stamp set. 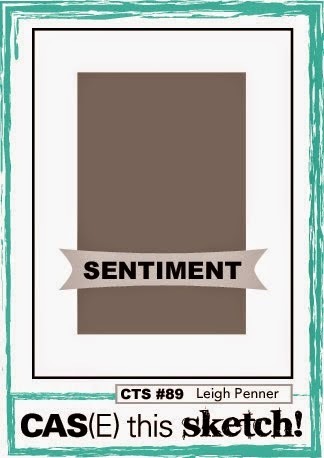 The sentiment is a PTI die that coordinates with their Text-Style "Wet Paint" set. I scattered a few Winter Blend sequins by Avery Elle for a really quick card. Thanks so much for stopping by....I am sadly coming to the end of a 3 day weekend off work. It's back to work time this afternoon. I loved the sketch AND the inspiration photo for the current Fusion Card Challenge! 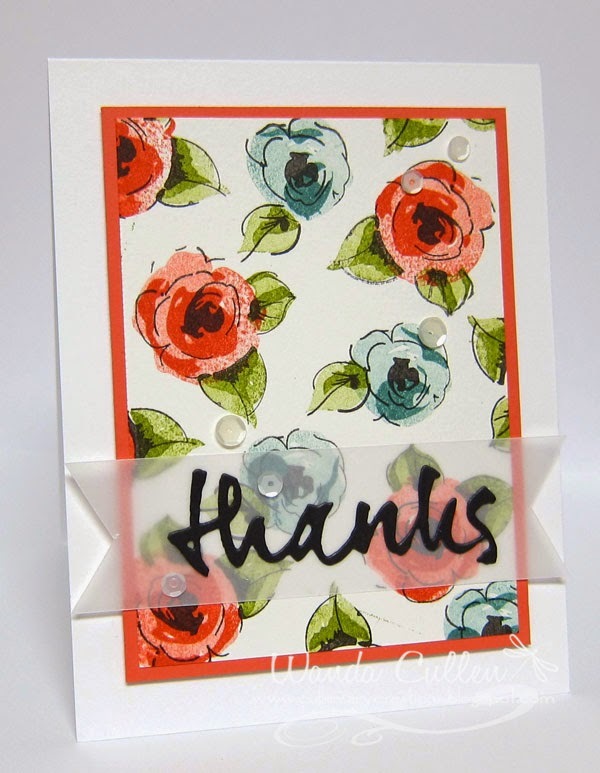 It was perfect to use some distress inks then spritz with water before stamping on watercolor paper. I first stamped the floral spray with Spun Sugar then offset the second stamping with Picked Raspberry. I then stamped only half of the image with Squeezed Lemonade then offset with a second stamping with Mustard Seed. The leaves were inked, spritzed and stamped with Mowed Lawn. I put some ink on an acrylic block then picked up some color with my aquapainter to fill in the open leaves. I loved pairing up the Wet Paint text style set - also by Papertrey Ink - with this Garden Grace set! The pink panel is Raspberry Fizz CS by PTI. This digi image by A Day For Daisies brings back wonderful memories of a fun weekend in April when a number of the Color Throwdown gals got together at Bar's house. One of our goals that w/e was to play with Copics as well as to share refills with the group. Broni brought a variety of ADFD digi images and I immediately loved this Daisies Window image! When I saw that today's CAS Challenge on SCS was coloring, I knew it was high time to put it to good use. 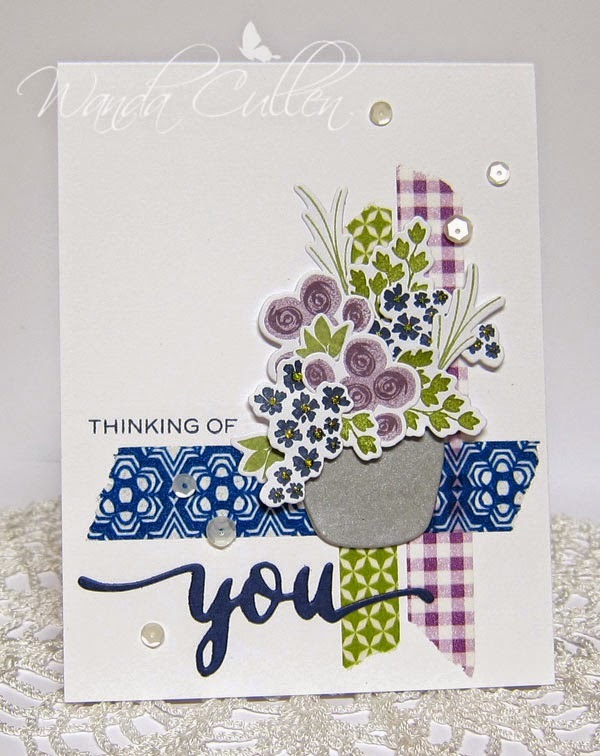 The sentiment is from Altenew's Label Love stamp set. Easy peasy! It's time for a tall and skinny sketch for the last Mojo Monday Challenge of August! I really hate to think that summer is coming to an end already, but leaves are already dropping from our oak trees! :-( I went with Stampin' Up's Moonlight Designer Series papers that highlight two of the new in colors - Hello Honey and Blackberry Bliss. The flowers were stamped on X-Press It Blending Card, colored with Copics (RV95, YG03, Y19) then fussy cut and adhered to the long oval. I had no rhinestones, sequins, enamel dots, etc. to match, so punched out some circles and added tiny rhinestones to the center for embellishments. Instead of ribbon, I trimmed down a couple of flags from Verve's Flag It die set and tucked them in the label slots. Today's Inspiration Challenge on SCS is from the Color Watercolor Etsy store where I was inspired by the rose print HERE. I still struggle with watercoloring and keep telling myself I just need to play with it more. I decided to use the current palette at Colour Q Challenge and am also playing along with the Tag, You're It Challenge. 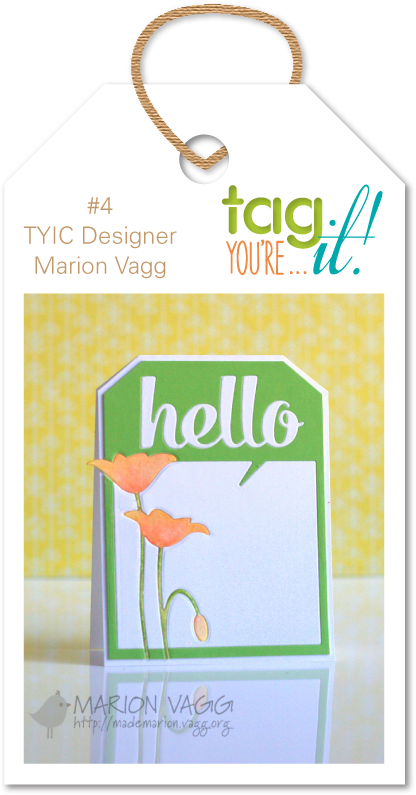 Designer Marion Vagg has some watercoloring on her flower dies and I went with the same hello sentiment. 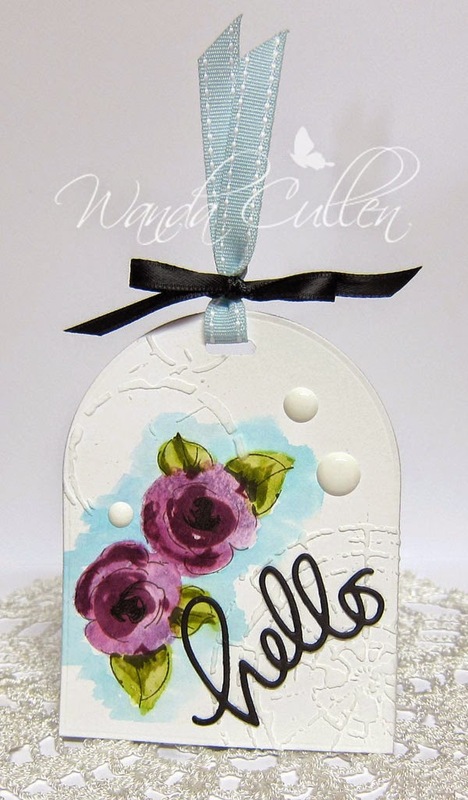 I watercolored the florals using distress inks (Dusty Concord, Seedless Preserves, Peeled Paint and Tumbled Glass) then die cut the tag using MFT's Rounded Banner STAX Die-Namics. I added texture by applying light modeling paste (Liquitex) with a TCW Mini Specimens stencil. Then, of course, I couldn't resist some enamel dots! ACCESSORIES: Small Hello die by Simon Says Stamp, Enamel dots by Recollections (Michael's), Soft Sky stitched ribbon by SU, Black satin ribbon (Michael's), Rounded Banner STAX Die-Namics (MFT), Modeling paste by Liquitex, TCW Mini Specimens stencil. Thanks so much for stopping by....I always enjoy your comments! Labels: Altenew, Colour Q, SCS IC, tag, Tag...You're It! Yes! It's amazing that I have a 3 day weekend off work! 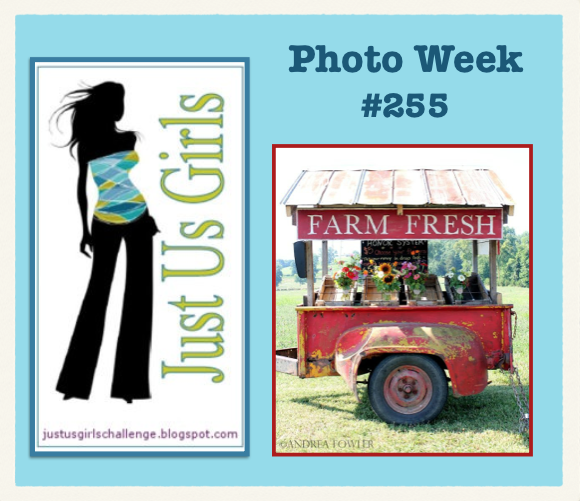 I started off the time with a quick card for two challenges: Just Us Girls with a "Farm Fresh" photo inspiration and the Freshly Made Sketches layout. My background splatters were made by wetting yellow and red watercolor pencils, picking up the color on a brush, then tapping it to drip the water onto the CS. To keep with a rustic farm theme, I used the barbed wire Die-Namics by MFT and some jute twine. 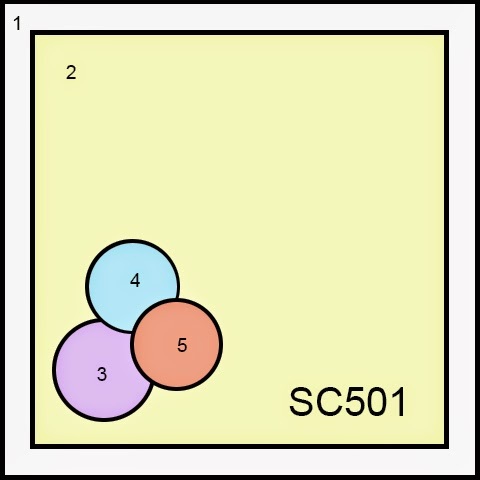 STAMPS: Splendid Sunflower (MFT), Label Love (Altenew). INK: Crushed Curry, Old Olive, Baked Brown Sugar, Versafine Onyx Black. 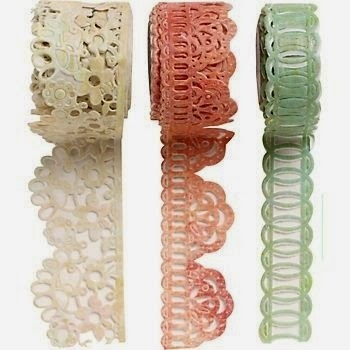 ACCESSORIES: Sunflower Die-Namics (MFT), Wire Fence Die-Namics (MFT), Jute twine. 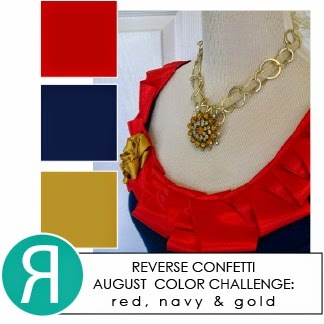 I created this card for three different challenges: Reverse Confetti's August Color Challenge to use red, navy and gold and also for the current Retrosketches Challenge. 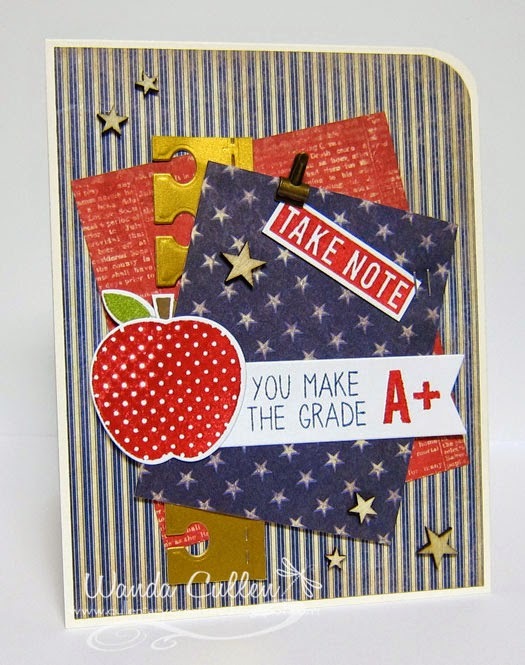 I'm also linking it up to Simon Says Stamp's Wednesday challenge where the theme is back to school. Even though our children are past the going back to school days, I still love to use this RC stamp set. The tiny library clip and staples seemed like perfect embellishments for the occasion! 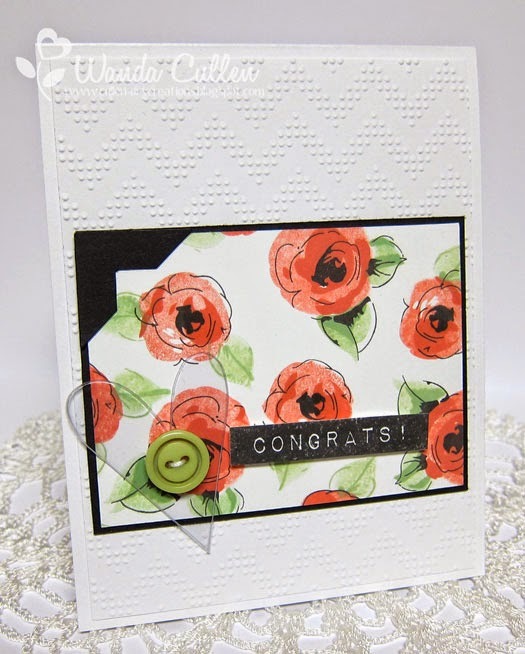 STAMPS: Class Act, Arrows and Elements - both by Reverse Confetti. PAPER: Authentique "Pride" Collection, Metallic gold CS, Vintage Cream and White. INK: Night of Navy, Real Red. ACCESSORIES: Class Act dies by Reverse Confetti, Office Edges dies by Reverse Confetti, Wooden veneer stars by Studio Calico, Mini library clip (SU), Corner chomper. 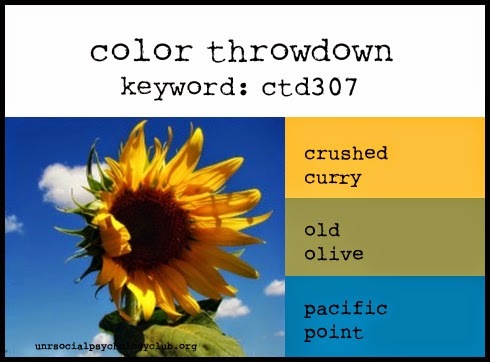 Can you believe it's time for another Color Throwdown challenge already? Cindy has picked this yummy inspiration photo which was perfect for doing some flower arranging with WPlus9 stamps and dies. Went with my favorite 'go to' sketch and formed the L-shaped background with washi tape. The pot was die cut from silver metallic cardstock and then it was layering time with flowers and leaves from WPlus9's Fresh Cut Containers stamp set. The sentiment is another WPlus9 set - Hand Lettered Thanks - a new fave of mine! I added some yellow Stickles to the navy flowers which adds a hint of sparkle IRL. It's Mojo Monday challenge time again and I had a fun time putting several patterned papers together for this great horizontal layout! Love the colors that SU paired up in their Retro Fresh designer pack! These Verve posies are so much fun to color with Copics and the matching Happy Doodles die eliminates any fussy cutting. The little Coastal Cabana flag under the baker's twine is actually the chevron arrow from Verve's Chevron Love stamp set. 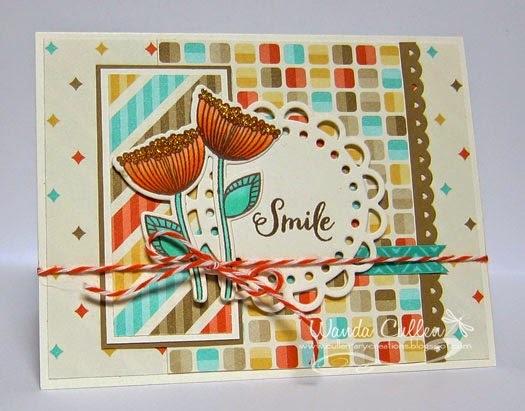 Flowers and sentiment are from Verve's Happy Place set from their last release. I added Diamond Stickles to the center of the flowers. Copics I used: YR02, YR04, YR07, BG32, BG34. 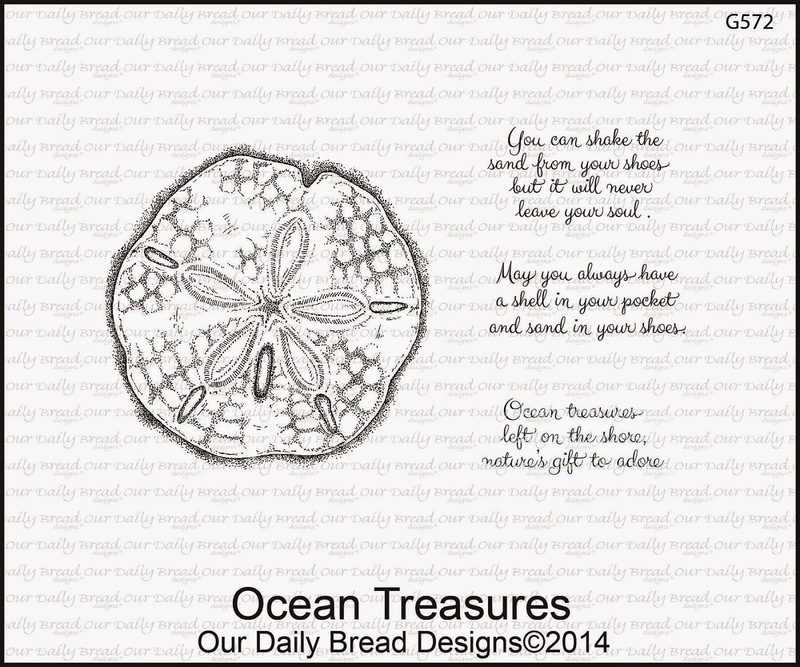 Today we are taking a look back at Our Daily Bread Designs' August release. It's a reminder that you don't want to miss out on the new beach-themed stamps and dies that are available in the ODBD store! 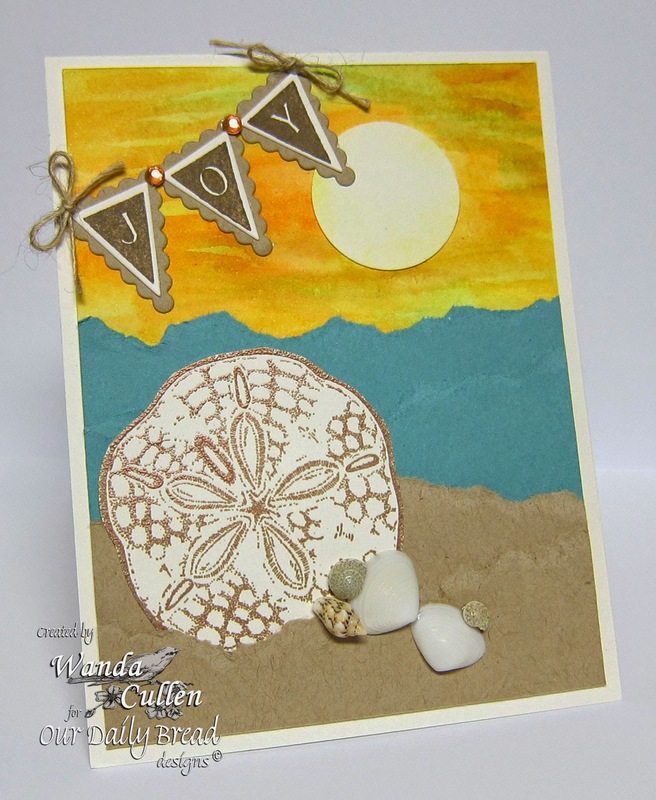 Here is the card I created using the sand dollar from the Ocean Treasures set. I stamped with Versamark ink and embossed with copper EP (which doesn't want to show up well in the photo). I water colored the sky, then added torn strips of paper for the ocean and the sand. A few real shells for embellishment and a pennant sentiment finished up this summer scene. I don't know about you, but I think "JOY" when I think of the beach! For more inspiration using the August release, be sure to visit the ODBD blog or you can visit each of the designers' blogs (see links below). I posted this card on SCS for the Wednesday Sketch Challenge and am finally getting it added to my blog. 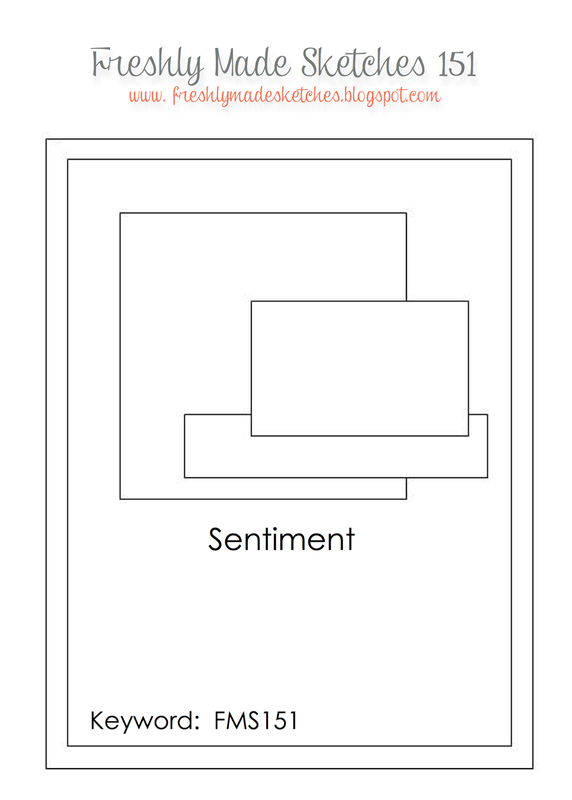 I loved the simple, open-spaced layout which has so many opportunities for interpretation! 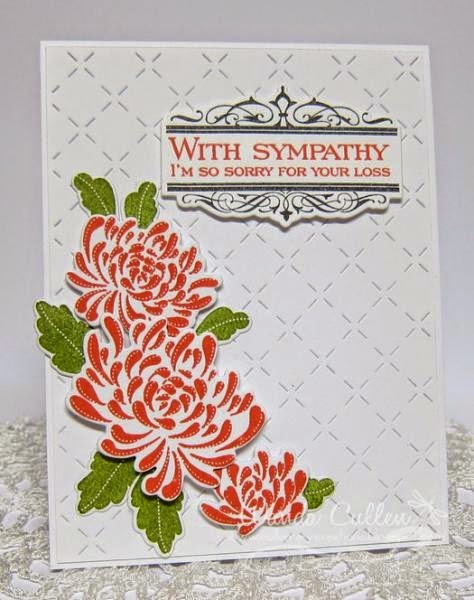 My daughter needed a sympathy card and this is what I came up with. 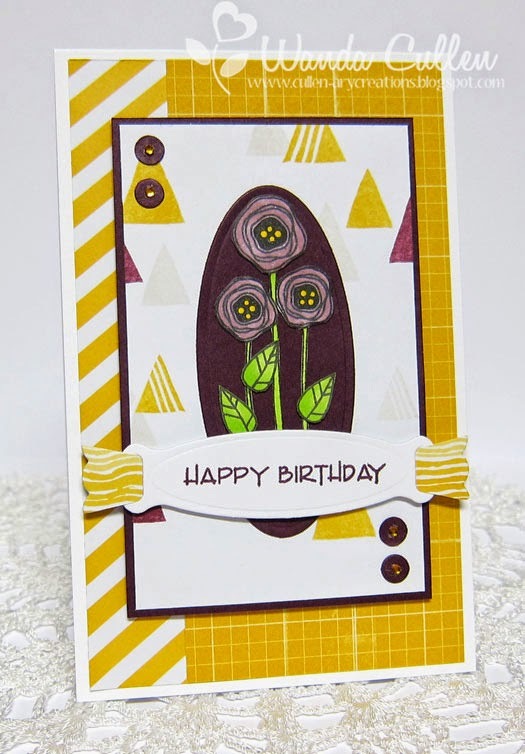 I love the quilted die background by Lil Inker Designs for starters. It was so easy to die cut the flowers and leaves, stamp them and pop them with foam dots. 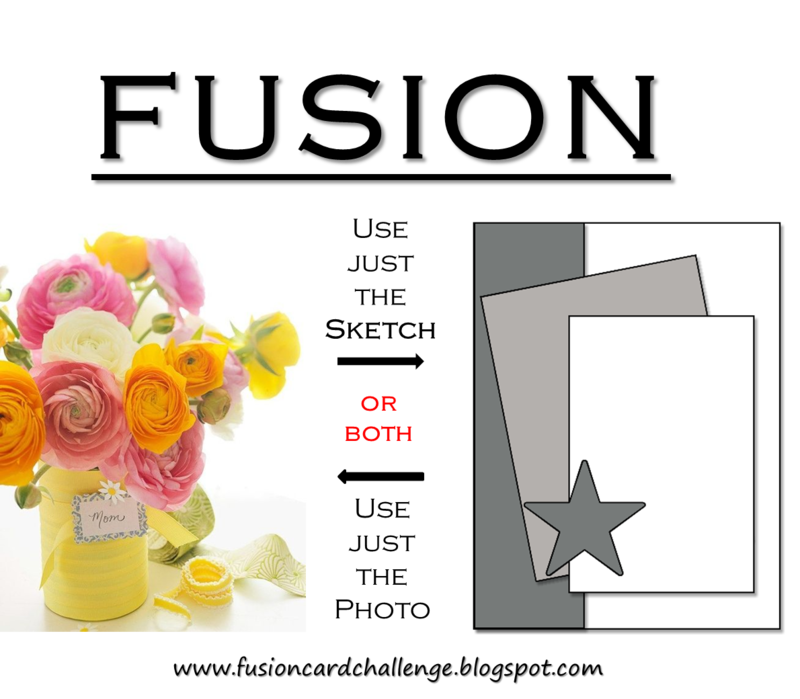 STAMPS: Mums the Word (PTI), Boutique Borders: Sympathy (PTI). INK: Calypso Coral, Old Olive, Black Licorice. 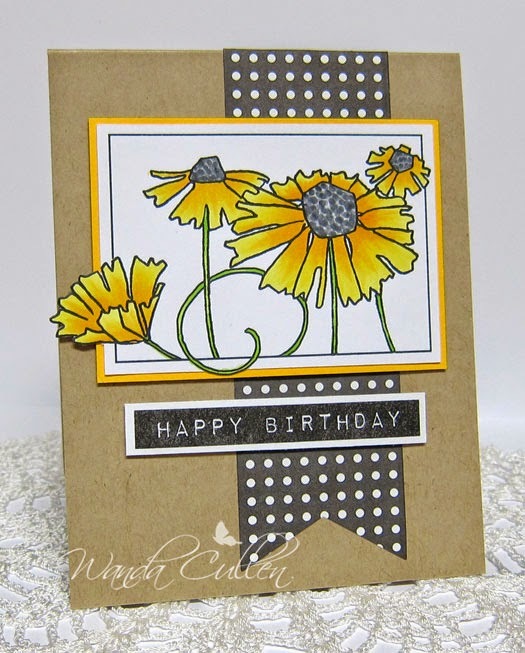 I was playing around with these awesome new 2 and 3-step stamped images from Altenew's Painted Flowers set earlier today and stamped a couple of panels of flowers. After I got home from my second shift nursing job, I found the current Seize the Sketch challenge and thought I could put one of the panels to good use with this layout. 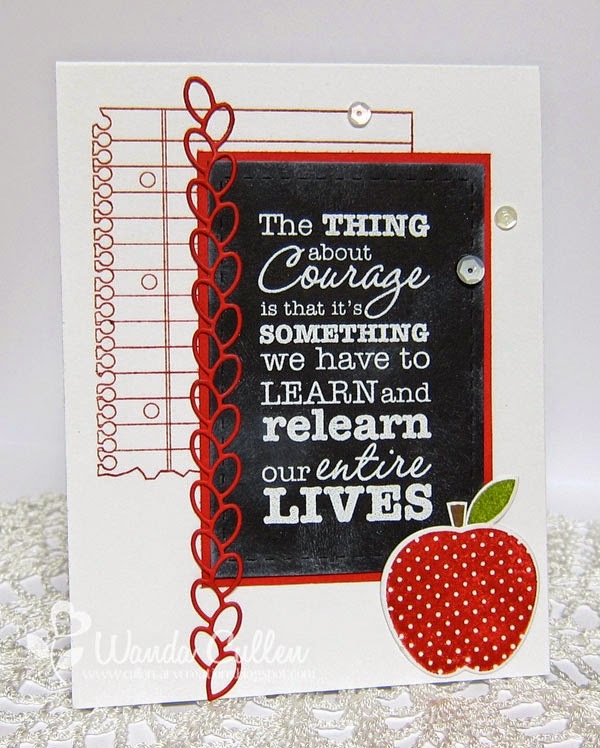 The white background was embossed using the Charles embossing folder by Cuttlebug. 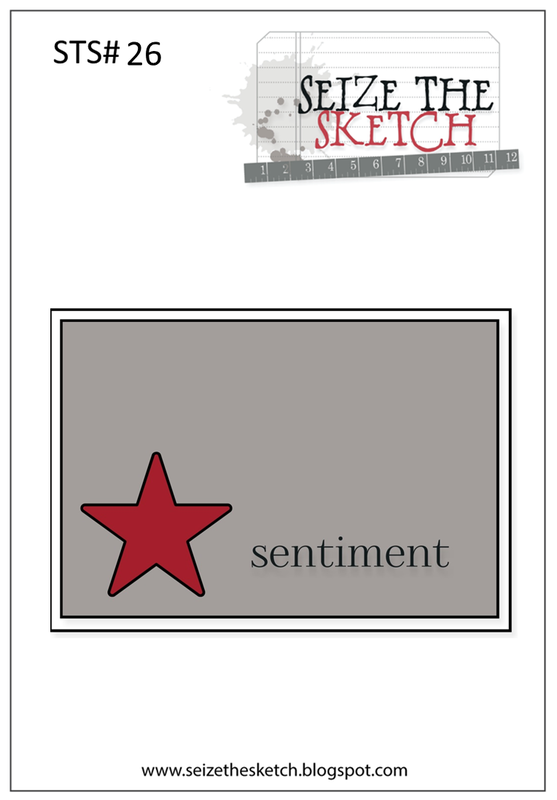 The sentiment is a label look-a-like from Altenew's Label Love set. I didn't want to cover up much of the floral design, so chose a ghost shaped heart by Heidi Swapp to embellish. I had a trimming mistake on the black mat and had to cover up my goof with a punched photo corner. I actually liked the look of the black accent, so decided I'd just say it was part of my plan all along - lol! INK: WPlus 9 Pure Colors: Flamingo and Mojito; Black Licorice by MFT. Thanks for stopping by...always appreciate your kind comments!